As Carbon Fibers' superior performances, high specific tensile strength and specific modulus modulus, become familiar, sporting goods manufacturers have endeavored to make use of the fibers for basic material of their final products. In 1970s, fishing rods, golf club shafts and tennis rackets began to be made of the fibers. In an introductory period, only limited number of sports maniac welcomed the goods due to high price. As price goes down, vast number of people suddenly started to buy those high performance goods and now Carbon Fibers are an indispensable basic material of sporting goods. Further on, the manufacturers have been developing various sporting/leisure goods made of the fibers. JCMA is proud to illustrate below a list of those goods. This is one of the application items in which you can make the most of the special features of Carbon Fibers (light weight, high rigidity, high sensitivity). 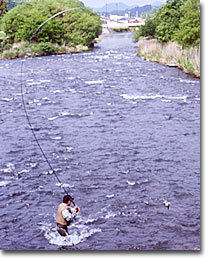 Started with fishing rods for ayu, use of Carbon Fibers expanded to fishing rods for small size fishes with very sensitive strikes. On account of high rigidity (stiffness) Carbon Fiber rods, as something like extension of one's arms, give fishers the feeling of even more subtle strikes. This is one of successful examples of Carbon Fibers applied to daily used gears. As golf shafts made of Carbon Fibers (carbon shafts) are far lighter than those made of metal, the swing speed with a given power becomes higher with carbon shafts than with metal shafts. In the beginning, carbon shafts became popular among senior players and ladies as an effective way to increase driving distance of them. 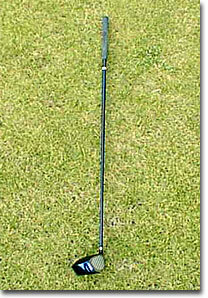 Now carbon shafts golf clubs are commonly used by most of professional and amateur golf players. 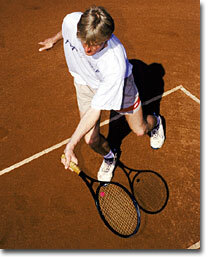 It seems that they are more attractive to players also because of their longer service life than wooden rackets'. By the use of Carbon Fibers, canoes have become light enough to be able to be transported by passenger cars. By this, canoe population seems to have increased. Speed is most important for racing canoes. It is, therefore, advantageous to use Carbon Fibers to attain higher speed by reducing weight. Furthermore, Carbon Fiber canoes can cope with shooting down the rapids due to their toughness. 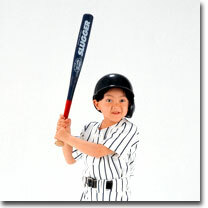 Carbon Fiber bats have gained public favor mainly in amateur baseball. The reasons for it are that the numbness of hands when hitting balls can be reduced, speed of balls hit is higher and the flying distance becomes longer, as well as that the hitting sound and hitting feeling are similar to those of wooden bats. 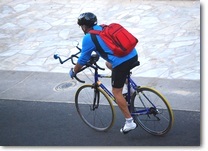 Due to Health and Environmental Problem, Bicycle is accepted more favorable spotrs in the world. Carbonfiber is adopted with main frame materials of Bicycle in stead of Aluminum, so that the Bicycle is succeeded to reduce weight.